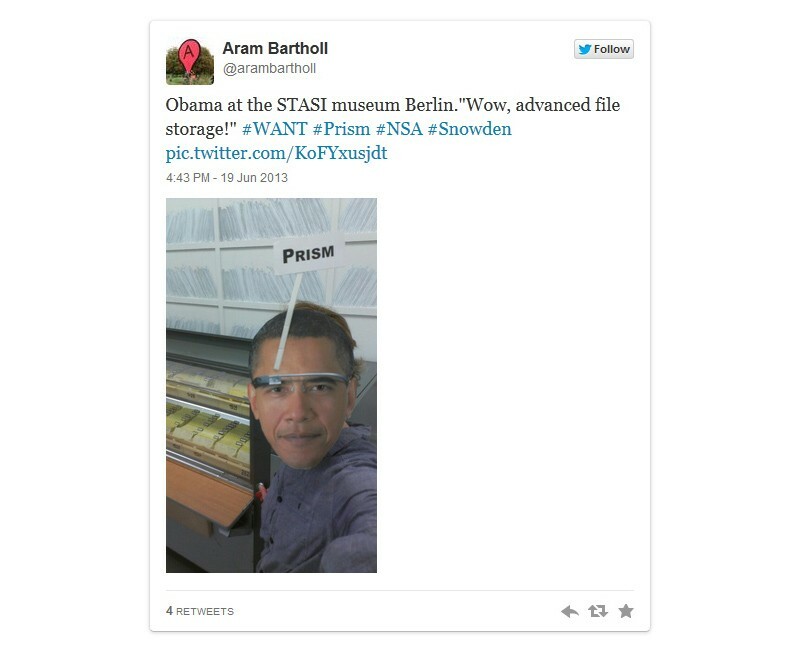 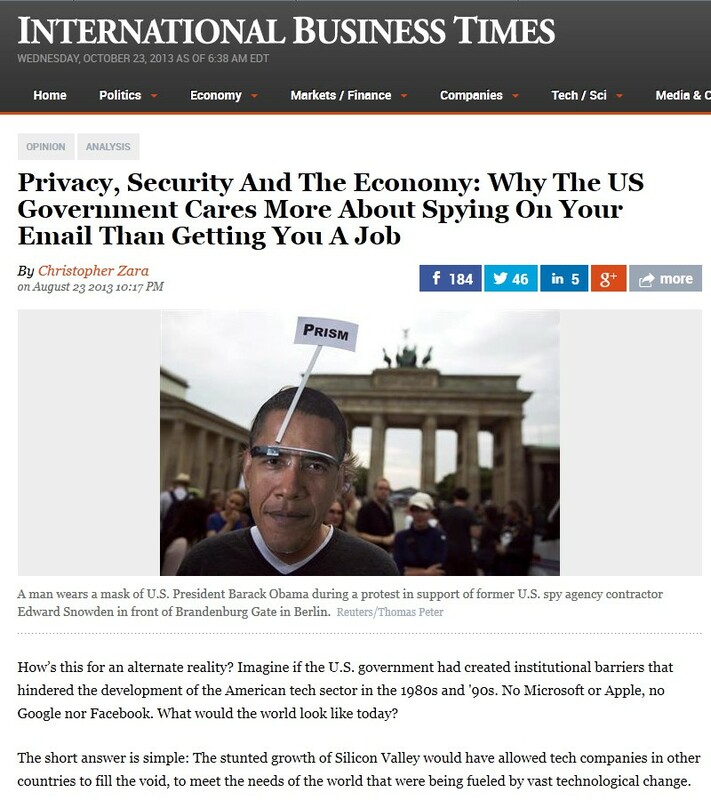 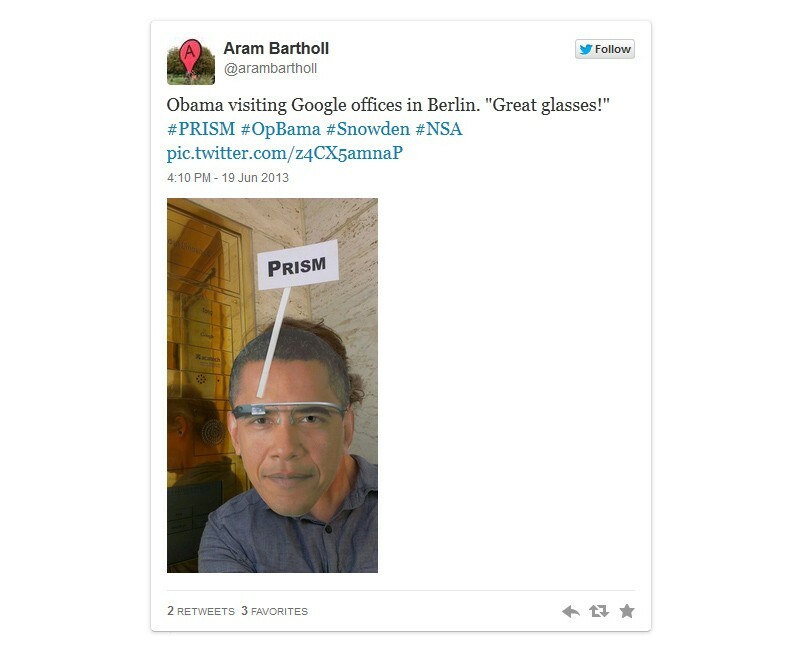 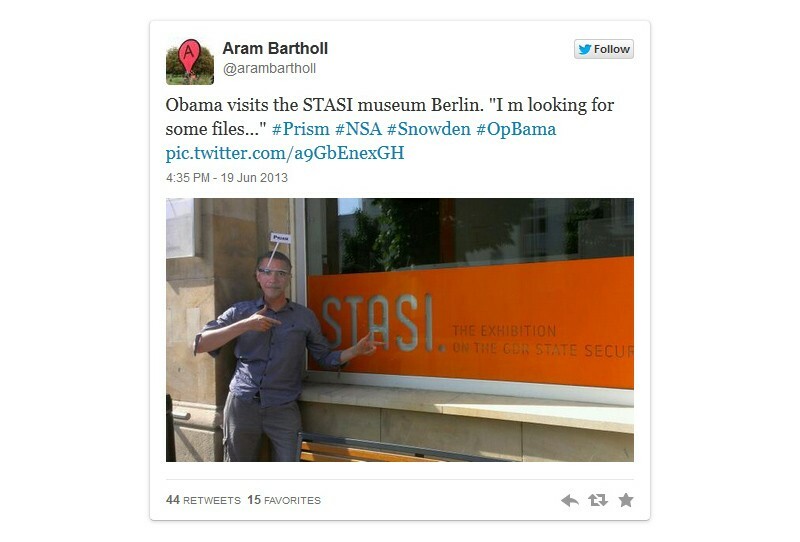 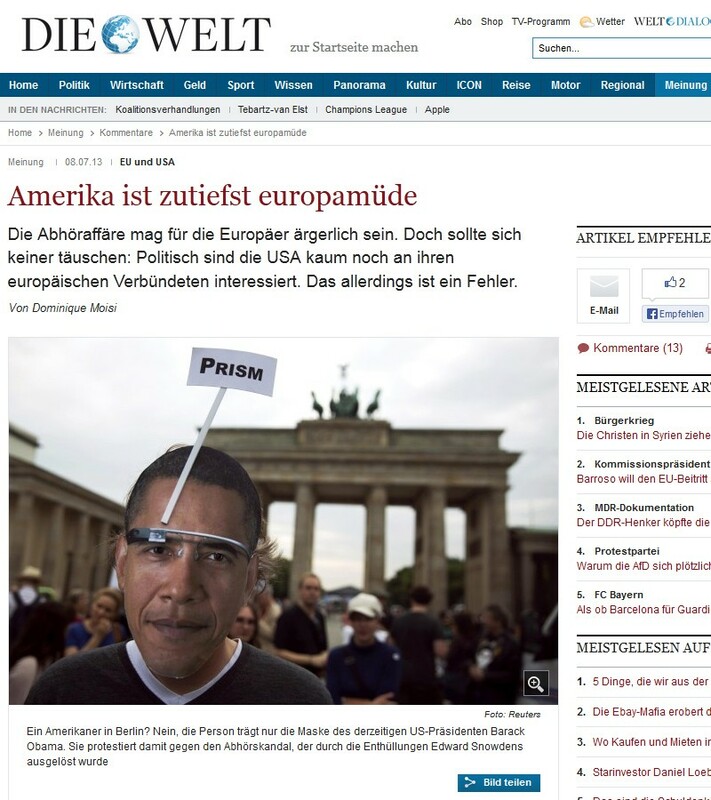 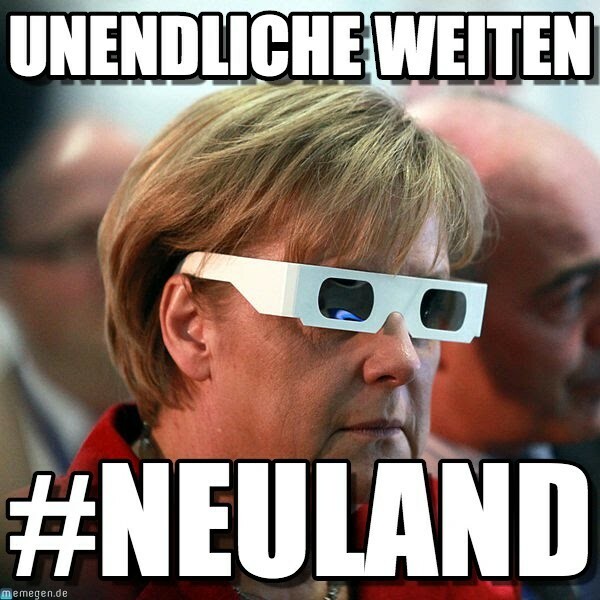 In June 2013 just 2 weeks after the first Snowden revelations of the NSA Prism program Barack Obama visited Berlin to finally have his talk in front of the Brandenburger gate (like all prior US presidents since JF Kennedy). 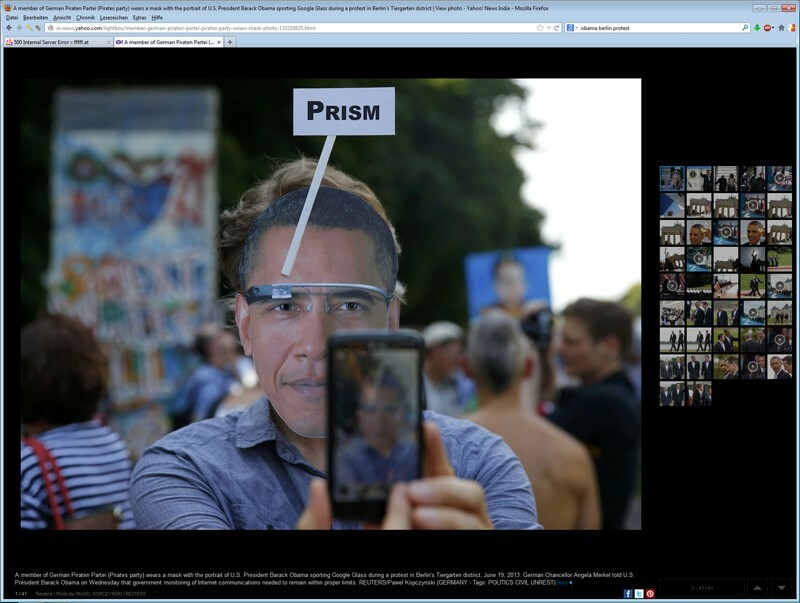 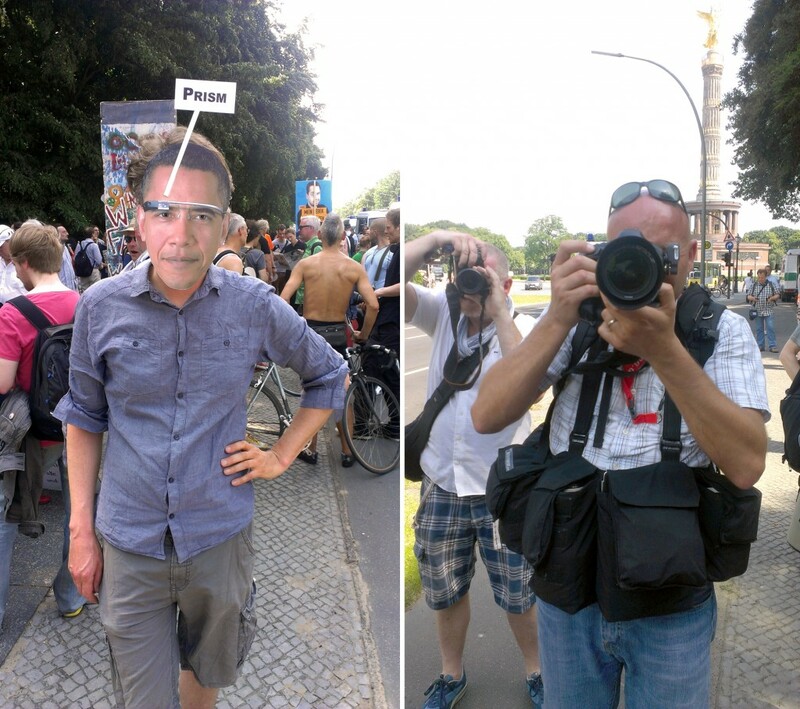 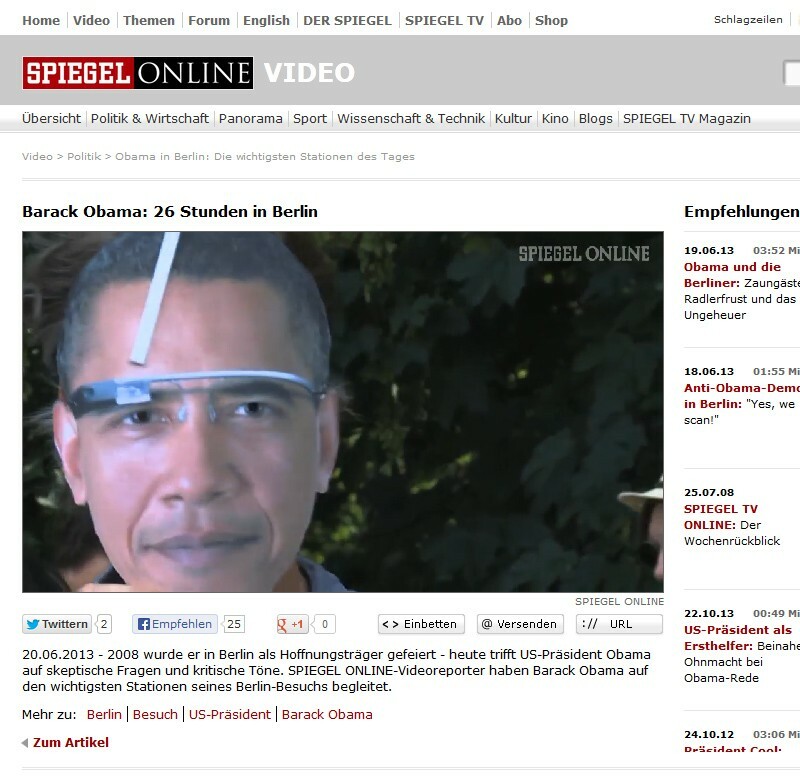 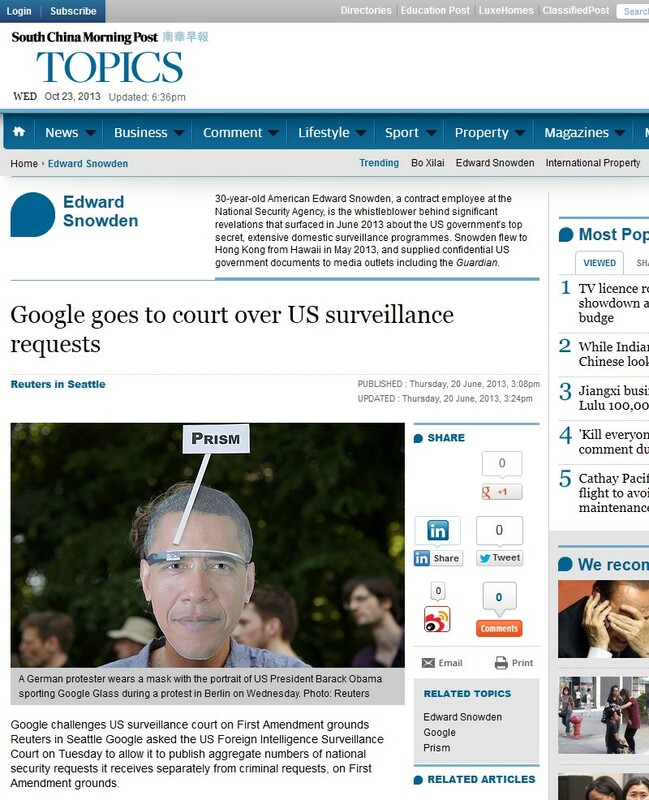 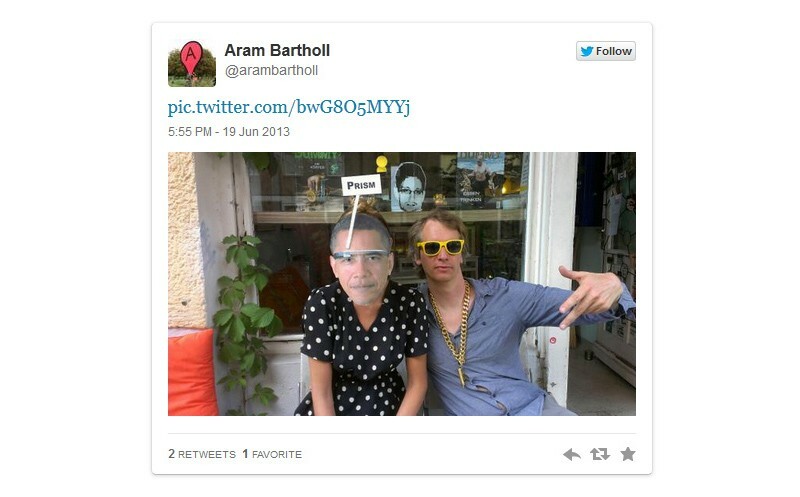 I joined the protests with a paper DIY mask showing photoshoped Obama wearing Google Glass (which he hasn t done yet). 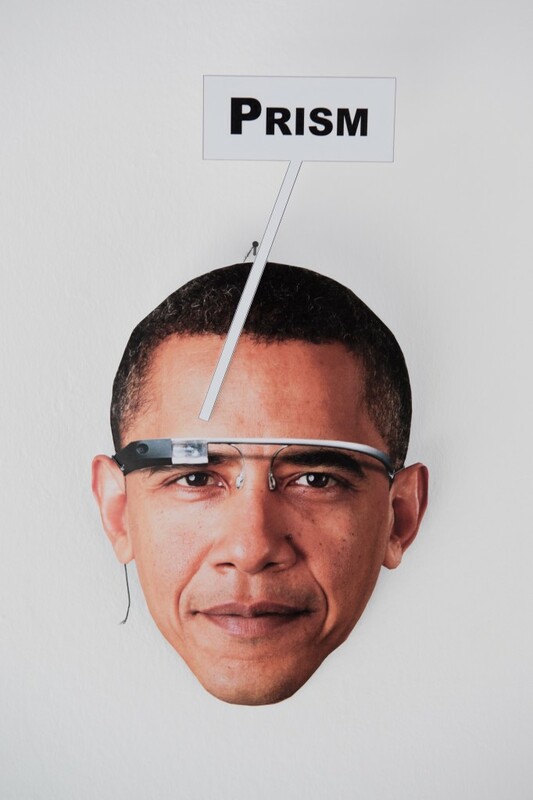 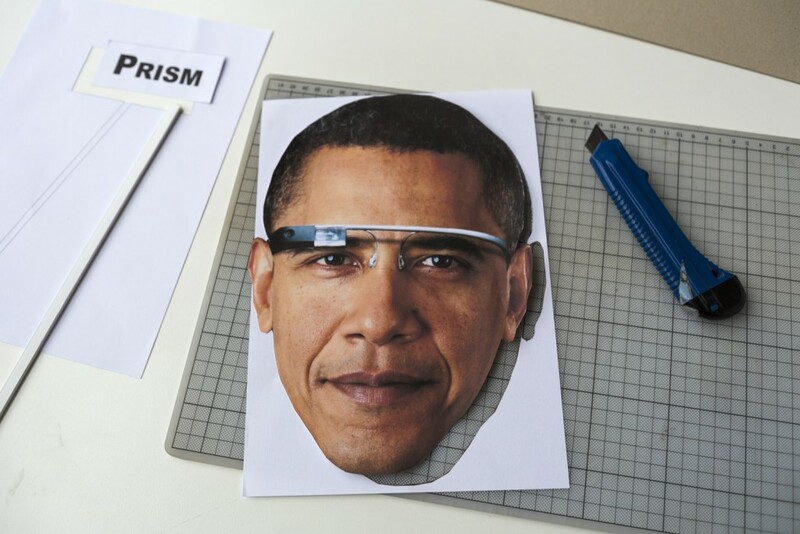 Make your own Obama PRISM Glass mask! 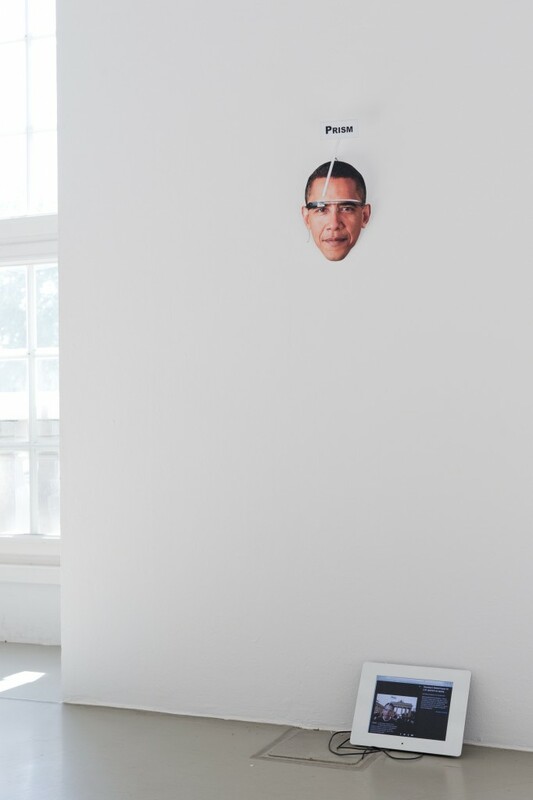 “Hello World!” solo show Kasseler Kunstverein, 2013.